ictured here an installation that members of unFramed attended in Poughkeepsie, titled “Hudson River of Bricks.” It was created by local artist Julia Whitney Barnes. Courtesy of Rachel Sipress. President of unFramed Rachel Sipress ’21 has been passionate about art from a young age. “My next-door neighbor growing up was an artist, and she would let me play in her studio, so I really fell in love with it as a kid,” they shared. Coming to Vassar, Sipress joined unFramed, and their passion was reignited. The pre-org focuses on providing a space for students to work and collaborate, introducing artists to campus and supporting art lovers in general. For Sipress, it presented an available creative outlet. Artists of any level, and even those who are not entirely sure whether they are an artist, are welcome and fully encouraged to take part in any activities unFramed hosts. The organization has gone on a number of exciting outings. Last year, the group took a trip to Pioneer Works, a non-profit cultural center in Red Hook, NY. They visited an event there titled “WTF Do We Do Now, in an Age of Trump,” a convening of artists and activists who took action against the current administration. Former president of unFramed Grace Roebuck ’20 commented on the event, “This was a very powerful way to bridge Vassar with the greater NYC community.” This year, unFramed explored an exhibition in Poughkeepsie. 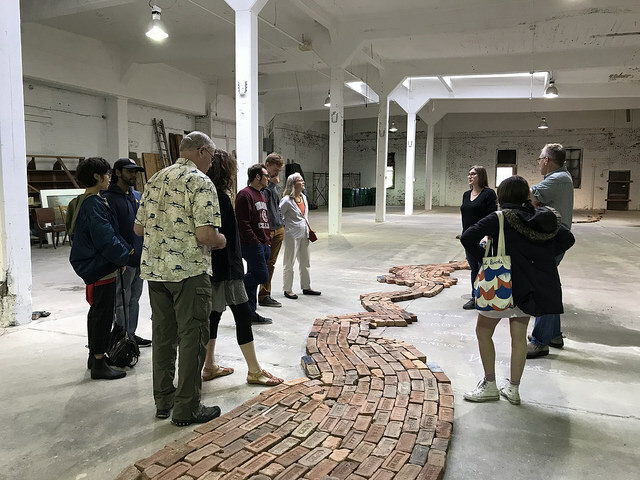 The piece, created by local artist Julia Whitney Barnes, was titled “Hudson River of Bricks.” Sipress noted that these outings would not have been possible without the presence of the artistic community that unFramed is cultivating. Through inviting artists to speak and by developing installations on campus, unFramed has fused art and activism. Roebuck remarked, “We brought photojournalist Elisabeth Ubbe to speak about her photojournalism on female genital mutilation, breastfeeding across cultures, periods and children being sold as Turkish co-wives.” The org also brought to campus performer, writer and theatre maker Travis Alabanza. The org has a variety of ideas for future events, outings and spaces that will help enrich Vassar. Sipress shared, “We’re calling for a community art space. 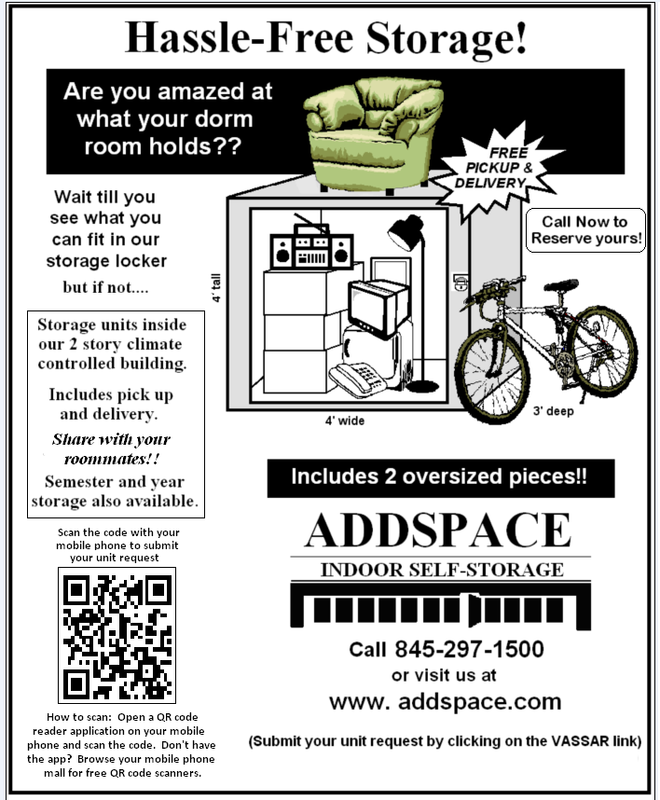 We want there to be an actual space on campus for the visual arts. In artist spaces you need the other people to bounce ideas off of. So that’s the dream. One of the things we’re trying to do with unFramed is open up lines of communication.” This artist space would ideally include a pottery wheel and kiln, a graphic arts tablet and shared art supplies. They also said that possible upcoming events include field trips to art museums and installations both locally and in New York City, an exhibition of student art and Bob Ross movie nights. Students who are interested in getting involved with unFramed can explore the organization’s Facebook page or email rsipress[at]vassar.edu for more information.